Are Canada Geese making your life miserable? Are they destroying your grass, leaving horrible amounts of droppings and feathers, chasing visitors and clients? 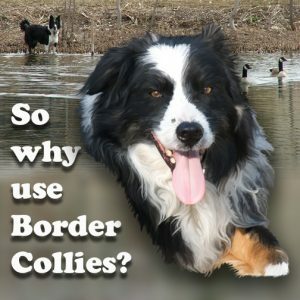 Hardey Border Collie Goose Patrol provides environmentally safe, humane Canada goose control with specially trained Border Collies, to the Denver metro area of Colorado. Canada geese. It’s not just a problem of too many geese, but a problem of geese in the wrong locations—on golf courses, business parks, in public parks, and on school sports fields. Each adult goose produces 1 to 1 1/2 pounds of droppings per day. These droppings aren’t just something we don’t like to step in. Quantities of goose droppings are detrimental to the grass itself, and any bodies of water they are washed into, causing algae bloom. Canada geese habituate to chemicals, pyrotechnics, fences, noise makers, plastic swans and streamers—and no longer deter so easily. Chemicals can be toxic to the environment or non-target species and some are not biodegradable. and most need frequent reapplications. While grazing, an adult goose can destroy as much as five square feet of grass each day. Most control methods for Canada geese are economically prohibitive to landowners, businesses, and homeowner associations, or are aesthetically unappealing. They also tend to just be temporary, since the geese soon habituate to them, and will no longer leave. Canada geese can be a liability, human and goose conflicts are becoming more often and more physical. Goose droppings pose a slip and fall issue, as well as carrying diseases. The Hardey Border Collie Goose Patrol, Providing Environmentally Safe, Humane Canada Goose Control with Working Border Collies. 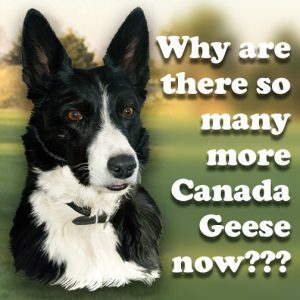 The single most effective method of Canada goose control on a specific property is through the use of specially trained Border Collies to herd or haze the geese away. The use of goose-trained Border Collies to haze geese from a property is now legal eight months out of the year in Colorado. 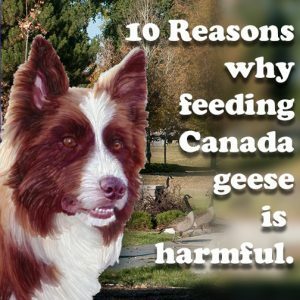 The use of specially goose-trained Border Collies to move geese from your property is humane, and Colorado Department of Wildlife approved. 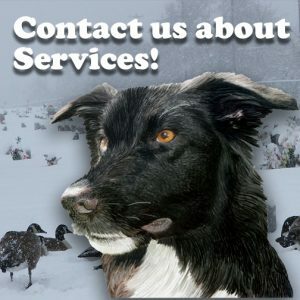 Hardey Border Collie Canada Goose Patrol dogs are quiet workers, goose friendly and environmentally safe. Their training continues, year around, with sheep and ducks. Fortunately, nobody ever told the Canada geese how safe these dogs really are. 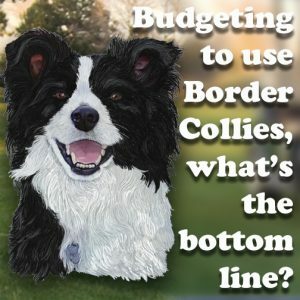 A Border Collie’s body language looks like a hunter—we psych the geese into thinking there are dangerous predators on your property! They go away naturally. You are hands free! And flexible! Just let us know when the Canada geese come in on your property and we will schedule visits, in 24 hours or less. Keeping the geese off your property is far more economical than cleaning up after the birds, just in man hours alone, never mind disposal of dropping etc. And there is just no way to clean up as well as simply not having them there. Canada Goose Patrol dogs on your property. 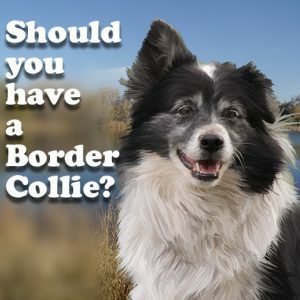 Working Border Collies since 2002.